TWO TOP GARDENERS were recognized at this year’s Grow Maine Green Expo in Augusta in January. BETTY ANN LISTOWICH of Norpine Landscape in Kingfield, a past Maine Landscacpe & Nursery Association president, received the Al Black Award as landscape professional of the year. RYAN RUSSELL of Land Plans in Cumberland was named young nursery professional of the year. 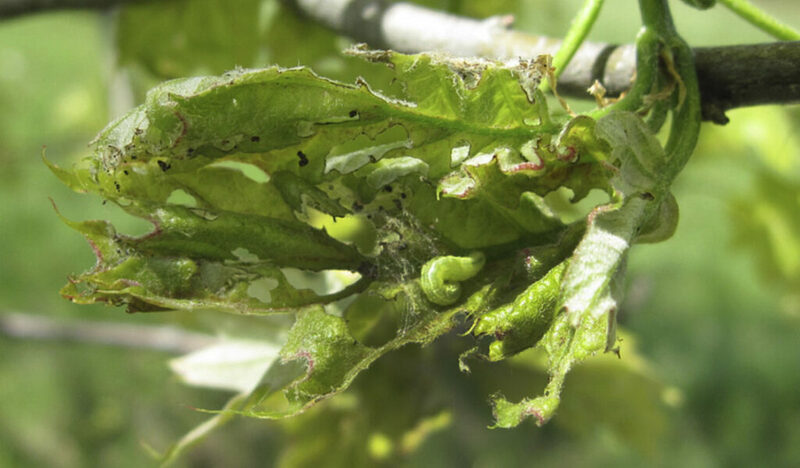 Larval browntails eat through an oak leaf. 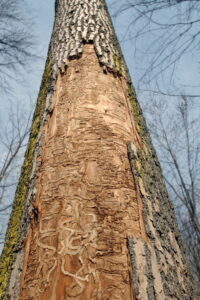 A tree infested with the emerald ash borer. 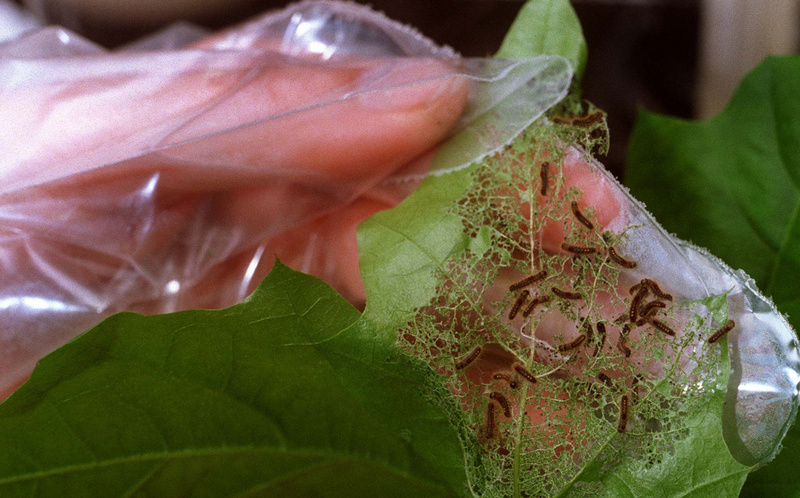 The most effective way to control the browntail moths is to remove any webs you can reach (wear gloves) and either burn the webs or put them in soapy water. Do such work between now and late April. Spraying works through the end of May, but is most effective if the entire neighborhood participates.